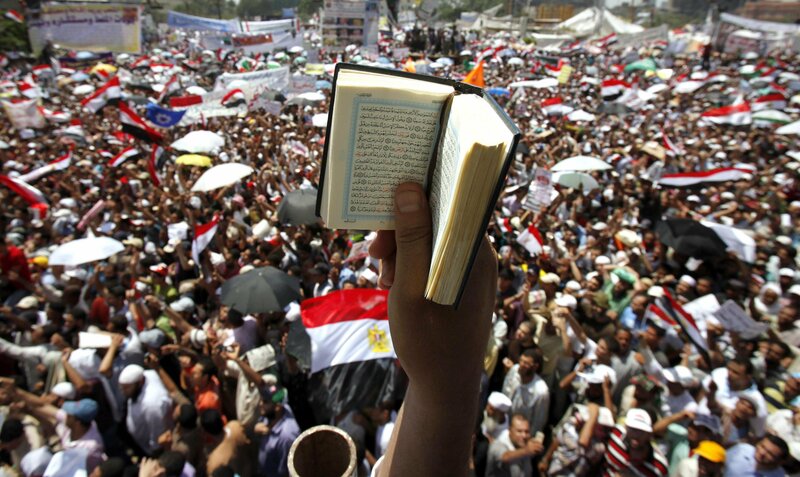 The Arab Spring: Legit or Not? The question of whether or not the Arab Spring is a legitimate movement against corruption and tyranny requires addressing the following assumptions regarding the culture of the Middle East as well as the nature of democracy as a political philosophy; and the credibility of global power like the US, Europe, Russia & China in policing the world and/or crusading for democracy. Obviously we cannot throw all uprisings in the Middle East into one category because each country is different culturally and circumstantially. The main scene of protest in the Middle East in what would be called the Arab Spring includes Egypt, Tunisia, Libya, Syria & Bahrain. It wasn’t much before the Arab Spring when the Lebanese people orchestrated a one-million man protest in Beirut which would eventually force the Syrian government to withdraw completely. Protests also erupted in neighboring countries of influence and significance, namely Iran & Turkey. Some might argue the Arab spring inspired movements in Brazil, Venezuela, Cuba & Ukraine where extreme forces are already threatening to take grip — amidst uncertainty and the vulnerable state of a country during a transitional phase of government. As I stated before each of these countries is different. The type of reforms necessary, the culture of the people, the grievances of the people. They are not all the same. What was common among all participants of the Arab Spring was a sense of discontent with the social, political and economic conditions of the Arab people. But what exactly is the cause of the misery of the Arab people? Is it the tyranny of their own governments, or the tyranny of global powers? Take a look at Syria for example, where the government has been ruled by a close-knit group of Assad-sympathizers. 75% of the Syrian population is Sunni, which has remained largely unrepresented in the political and economic aspects of Syrian life. The Alawites, a minority religious sect of Shiite Islam, have been largely in control of the political process in Syria, operating from the stronghold of Damascus. Despite disparaties between the elite rich and the impoverished lower classes, largely Sunni, the majority of Syrians were content with their state of affairs. 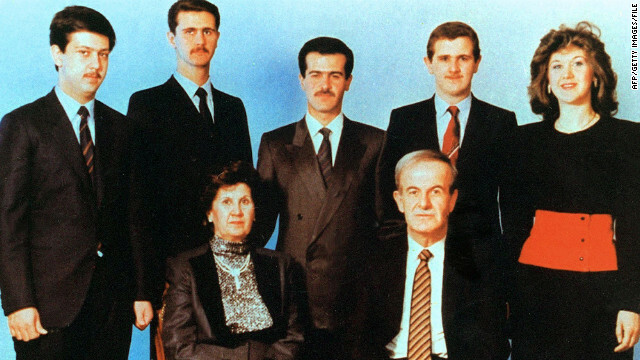 The irony is that it was the Alawites who were disenfranchised from Syrian society before the coup which ushered in the presidency of Hafez al-Assad in 1970. The Alawites were regarded as heretics and second class citizens. 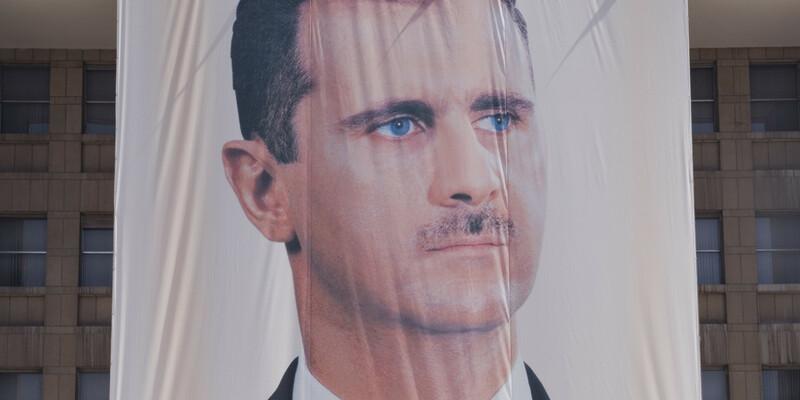 It was Assad’s rise to prominence which elevated their social status, seen by many Syrians as their way of avenging their history of oppression. The Correction Movement, initiated by the Assad government, aimed to socialize the Syrian economy and redistribute wealth more fairly so as to guarantee universal prosperity. The outcome? While major advancements were made on a national level in terms of infrastructure and self-sustenance, the economy was largely controlled by the Assad government. How was this different from the Sultan-esque elitist economic model that ruled Syria prior to Assad’s Corrective Movement? Similar efforts were attempted in the realm of Socialism in Egypt and Libya for example, by Gamal Abd Nasser & Muammar al-Gaddafi, respectively. All three of this historic figures were regarded as threats to global hegemonies and the tradition of capitalism which had been the foundation of the international political system for centuries. None of their socialist policies brought openness and prosperity to the economy except for those in power, essentially just fortifying the system of stagnation in place before. Assumption: democracy is the universal road to justice; democracy is compatible with Arab & Muslim society; democracy is a guaranteer of social equality; that the global police actually exhibit democracy. Has there ever been a democracy? Is the US a real democracy? The French Revolution was hijacked too. Instead of ushering in what was supposed to be individual rights we went from tyranny of the pride to tyranny of the revenge. 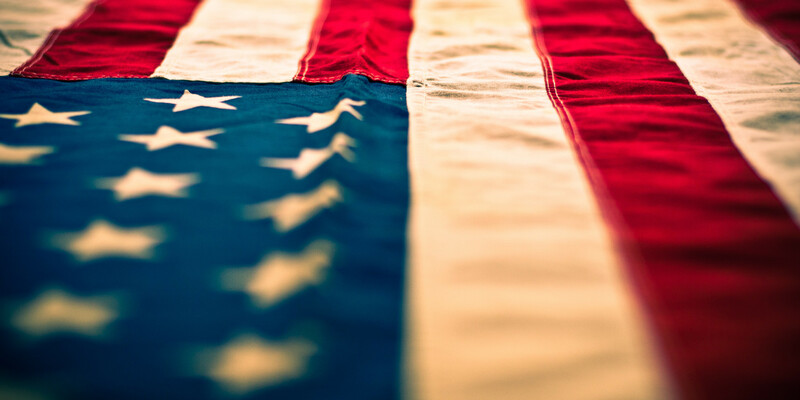 The American Revolution ushered in the first real modern attempt at democracy to ensure the rights of individuals socially, economically and politically. But how could the US be a democracy if it for 200 years deprived all African-Americans of basic, necessary human rights? Today immigrants, gays, muslims, arabs, atheists, jews and still African-Americans, are the subject of unequal treatment. Even in the far east, in Russia for example, the public attempt to collective reform Russian society was another revolution hijacked by yet another pseudo-science: Communism. Communism merely strengthened the hold of elitism by placing control in the hands of a political party and cult of personality versus a family or royal name as had been before. Thanks to movements by honorable leaders like Martin Luther King Jr. the US has made great strides towards a more democratic society; however the 21st century has revealed that 200 years of human rights abuses have consequences that are still to be seen. I am referring to the corruption of the justice and prison systems as well as police brutality and disparaging inequalities in income. The 21st century also ushered in the Arab Spring. In the case of Tunisia, I would say the movement succeeded. In the case of Egypt, Libya & Syria, it is not the same. Syria has become the battleground for the war against fundamentalism as well as a proxy war against Israeli expansionism. The rise of Islamic fundamentalism as well as failure on the international community to realize the human rights of the Arab World, most importantly Palestine, contributed to the hijacking of what was supposed to be an Arab Spring towards democracy. But who is to blame? Assad of Syria? Sisi of Egypt? Gaddafi of Libya? The US? The West? Russia & China? Religious fanaticism? Israeli expansionism? Colonialism? I am sure all of these forces contributed. But as stated before each country is different. In Syria, the people are not as upset with their government as they are with the international community’s silence of the crimes of colonial entities such as Israel. Perhaps this is why Assad has yet to dissolve his government; perhaps his claim that the Syrian people remain united has some validity. It is true, that neither Syria, Libya nor Egypt have progressed towards democracy economically, politically or socially…but to place the blame entirely on Arab leaders is misguided. Furthermore, it is a way of stereotyping…typecasting all Arab national grievances as similar in motive. The West was keen on insisting that Assad leave early on in the conflict. The tone has changed. Perhaps the Arab Spring did not die. Perhaps the Arab Spring is still alive; but, despite what the media might suggest; that the revolution has in fact another target — not our own Arab leaders — but the dismantling of the expansionist, colonialist apartheid regime of Israel, which has occupied Palestine and destabilized the Middle East for a half-century now, spurring the rise of terrorism and instability in the region. As pro-Western Arab allies like the King of Jordan and the new Saudi King Salman scurry to improve their reputations; other Arab nations are more keen are continuing the initiative that was begun by the earliest of Arab independence movements that unfolded in the mid-twentieth century against the colonial powers of France and the UK. Democracy is certainly the end goal of all nations. But the irony which surrounded America’s non democratic history forces us to realize the possibility (and likely reality) that the Arabs are victims of non-democratic tyranny, largely supported and facilitated by Western governments, in the interests of none other than the apartheid regime of Israel, the supposed only ‘democracy in the Middle East’. How can an apartheid government, a theocracy, serve as a role model for democracy? How can a country which tortures men women and children, razes homes, propagates religious extremism and exclusivity, encourages conformity, suppress individuality and human rights, be considered a beacon of democracy? The real Arab Spring is a continuation of the more genuine revolutionary initiative of the earlier Arab independence movements of the twentieth century. We cannot allow our dignity and revolutionary spirit to be easily hijacked by extremists and elitists. Let us remember who the occupying and oppressive power really is, and the techniques of mainstream media outlets in distorting reality and history. The miserable conditions of Arab States cannot be addressed or solved until the cause is exposed and removed. Let us not compromise our dignity, loyalty, community and humility for the sake of the instant gratification of temporary and illusory solutions. I have spent day and night verifying the perfect political system; one that guarantees men their individual freedoms, their collective rights and global stability. The menaces of fanatical ideologies have swept over human civilization since the dawn of mankind. Individuals have been struggling to preserve their individual identity, and countries have struggled to protect their sovereignty due to the threat of fanaticism and its manipulative tendencies. Ultimately, democracy is the ideal government. It is the will of the individual protected by the common values of the collective. Fanaticism, the anti-peace, the anti-individual, the anti-collective, manifests itself on all ends of the political spectrum, spanning all corners of ideological persuasions, including some of the most deceiving. Often times these fanatical ideologies have a religious foundation, such as with Zionism, Wahhabism. Other times, they are proudly irreligious, such as with Communism. However while all fanatical ideologies wear different masks; underneath all the propaganda and fear-mongering, they all share the same face, and they are all the very antithesis of democracy, universal equality, prosperity and happiness. The aim of the established elite in western countries, namely America, is to intimidate the lower classes with the propagation of fear and ideological fanaticism. In America, we are taught that Republicans are the true American patriots. We are indoctrinated to believe that Republicanism is the face of America, and that democracy, monotheism, equality and true free enterprise is only possible if we put our trust in the Republican creed. But the face of America is not just white. It is not just Christian either. This country was founded on principles of universal equality, and by definition, Republicanism is the very antithesis of that doctrine. Republicans have gone out of their way to portray every enemy of their ideology as an enemy of ‘freedom’, when in reality, it is Republicans who funnel their money into campaigns and projects with the aim of propagating religious dogma. If we dig even deeper, we’ll see that some of the biggest heads of the GOP, such as Rumsfeld, Cheney, and Bush, have their investments in non-democratic entities, such as the Kingdoms of Saudi Arabia, Jordan, the Emirates, Qatar, Lebanon, Israel & non-state actors like ISIS, al Qaeda, etc. Republicans are enjoying the fruits of democracy while corroborating with dictators, terrorists and political criminals abroad. They do so by portraying all enemies of America as freedom-stealing fanatics. The irony. The fanatics, ISIS & al Qaeda, work for American Republicans. They are in Syria, Iraq, Libya and Egypt right now, propagating Wahhabism, Salafism and other extremist takes on Islam in order to destablize the region and put various resources under the auspices of Western elites. I will not dismiss the culpability of Eastern elites either, who likely cooperate with the West, such as Russia & China. The irony is that Syria, unlike America’s arab allies, Saudi Arabia & Qatar, is a secular democratic state that elects its leaders. The majority of Syria, likely to this day, remains loyal to Assad and the current government. What the Western elites and their cohorts are trying to do is not original – it is a tactic they use right at home on their own people in attempt to distort democracy. It is a combination of gerrymandering, gentrification, and disenfranchisement. The tactic is to propagate an ideology and to spread paranoia through the region. This is done by appealing to individuals in the region who are mentally unstable and socio-economically insecure. Unaware of the source of their misery, which is as much due to ignorance as it is to the poor living conditions that result from imperialism and colonial suppression, namely from the Israeli-Gulf axis, they fall prey to a false promise of security, power and fulfillment. All in all, since America is a democracy – a struggling one at that – the last resort of elitist minded individuals in such a political structure is to portray its enemies as non-democratic. However the irony is that America is itself struggling to be democratic, with wealth concentration in the top tier and a social system that disenfranchises african-americans as well as immigrants. As America struggles to free itself from the shackles of republican dogma, so to does the rest of the world. Many people still want to point their finger at Obama. That is just playing into their hands. Obama is our president, but remember, the real power doesn’t lie in his hands. The real power is in the hands of the corporate executives of big oil and big banks, who dictate the financial affairs of the entire world. Furthermore, criticism of America should be more directed. Instead of attacking the country whose image we seek to improve, scrutiny should target the group of individuals responsible for holding us back. History tells me those people are Republican elitists who do not acknowledge the human rights of anyone but themselves. Syria’s Assad is not the cause of Middle Eastern instability. The problem is fanaticism – the very antithesis of democracy, individualism and peace. AIPAC’s grip on US – tightening or loosening? I wish Congress could, instead of sitting down the Obama Administration, sit down the Bush Administration and ask them why they lied to the American people and the whole world for that matter about the existence of WMDs in Iraq? Perhaps Congress could also ask the Bush Administration why Saudi Royalty received such exceptional care and concern during moments surrounding the 9/11 attacks? These questions are not just for the Bush Administration though. These questions are for all the far right, conservatives, and all these extreme political ideologues who care more for their personal gains and opinions than for human dignity. And they dare to call themselves believers in God. What a shame. Categories Uncategorized•Tags Algeria, Americanism, Barrack Obama, Benghazi, Danny Krikorian, Democracy, Democrats, Faith, Foreign Policy, friendship, Gaddafi, God, Happiness, Hillary Clinton, Ideology, John Kerry, Liberalism, Libya, Obama, President Obama, reassurance, U.S.